If you haven’t heard about teledentistry, then you are missing out on one of the most exciting advances in dentistry in regards to patient care, retention, and management in many years. Telemedicine has been around for years, but Denteractive has taken teledentistry to a whole new level with a sophisticated program that has been skyrocketing in both patient and doctor use since its recent release. Launched in July 2015, it is rapidly expanding with both doctors and patients availing themselves to the many benefits of the program. 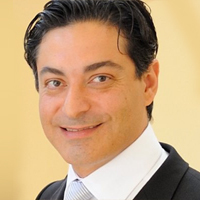 Founder/CEO of Denteractive is Dr. Reza Izadi who is an Endodontist in private practice at Izadi & Szen in Whittier, CA and Lake Forest, CA since 2003. His passion and commitment to the dental field is the driving force behind Denteractive, a digital platform that allows dentists to consult with patients, via their smartphone/tablet or laptop/desktop to improve patient care. Denteractive is the leader in HIPAA compliant software for teledentistry, that allows dentists to video conference, instant message, consult with patients, and schedule appointments with existing and new patients, all within a secure and comfortable atmosphere. You no longer have to worry about whether or not your communication is secure. It is. Patients can easily schedule an appointment online, give and receive secure instant messaging and video conference with the dentist of their choice. They can also contact a dentist in the event of an emergency and receive immediate help. All of this with the ease of making a phone call. Patient care is taken to a new level. Dentists can be secure in the knowledge that Denteractive is compliant on all HIPAA regulations and the privacy of the patient is completely protected. They can easily and safely consult and diagnose in the privacy and comfort of the patient’s home or office. Doctors are also able to safely transfer files, along with the treatment-tracking features of the software, schedule appointments with the online calendar feature and easily manage existing patients while easily increasing their new patient base. Patients use the program to find dentists based on location, procedures, insurance accepted, and schedule a time to video conference with any dentist also using Denteractive. Doctors no longer miss out on patients that are looking for a dentist. They are easily navigated to the practice from their mobile app. HIPAA compliant and secure instant and text messaging. HIPAA secure and compliant ability to video conference. HIPAA secure and compliant sharing of files. Ability to have patients schedule their own appointments. Increase their exposure and brand name as a dentist. Increase their production by easily filling holes in the schedule in a moment. Having more access to patients in rural areas or who are afraid to come in. Quicker transmission of all documents and records. A more efficient and smoother running office, front and back. Easier tracking of patients and their treatment. Increased preventive care of patients. More consultations with patients which improves the overall bottom line of practice. It’s easy to sign-up and get started. 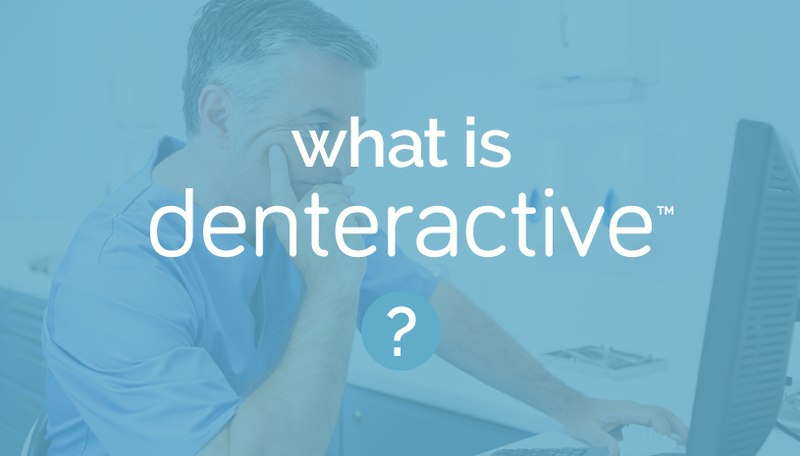 Click the link below and see how Denteractive can help you improve the quality of your practice, your patients health and your own success.